Schooling: he attended schools in Blythville, Arkansas. Church: He was of the Baptist Faith. Military: Served as a Private 1/c in the United States Army World War II. Fought in the battles of Tunisan, Rome-Arno and No Appennines on the African European Front., he received the European-African-Middle Eastern Service Medal with 3 Bronze Battle Stars // Good Conduct Medal with 3 Overseas Service Stars. Occupation: Electrical Inspector for Verizon in Redwood City, California retiring in 1982. Interests: An Artist, Loved pencil drawings // Played guitar, banjo and fiddle // Loved building things. Preceded in Death: Parents, Benjamin David & Emma Nelson Harbin // Wife, Evelyn 2nd Wife Mildren Eleanor Hatfield // 2 Brothers, Dewey & Louis Harbin, 3 Sisters, Willamay Lindenny // Ruby Sweat // Jesse Lambert. Graveside Service and Burial: Jefferson Barracks National Cemetery, St. Louis, MO, 10:30 a.m. Tuesday, November 27, 2018. 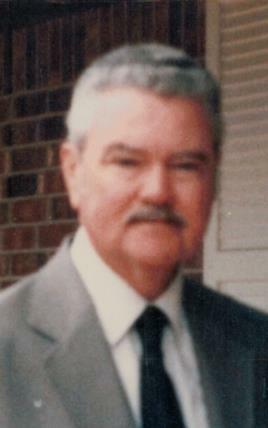 He will be buried in a double urn vault with his wife Mildred and will receive full Military Honors. Becker & Son Funeral Home, Mt. Olive, IL is in charge of arrangements.